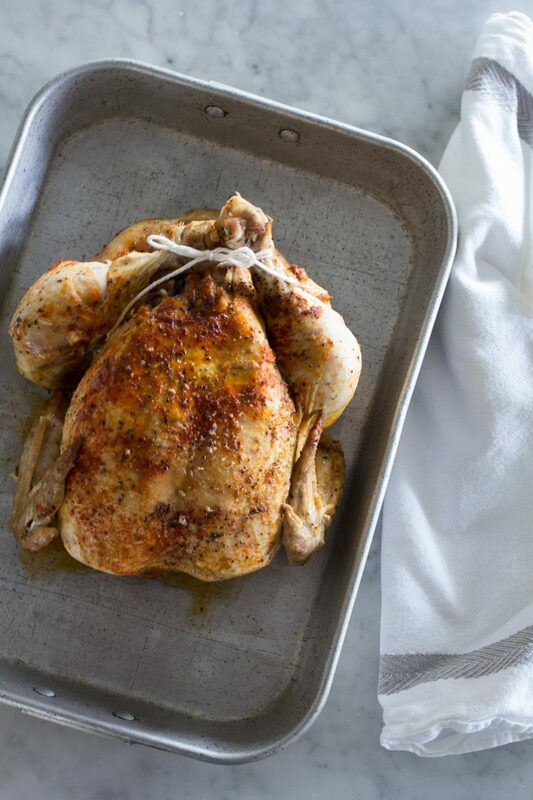 Have you ever cooked a whole chicken? 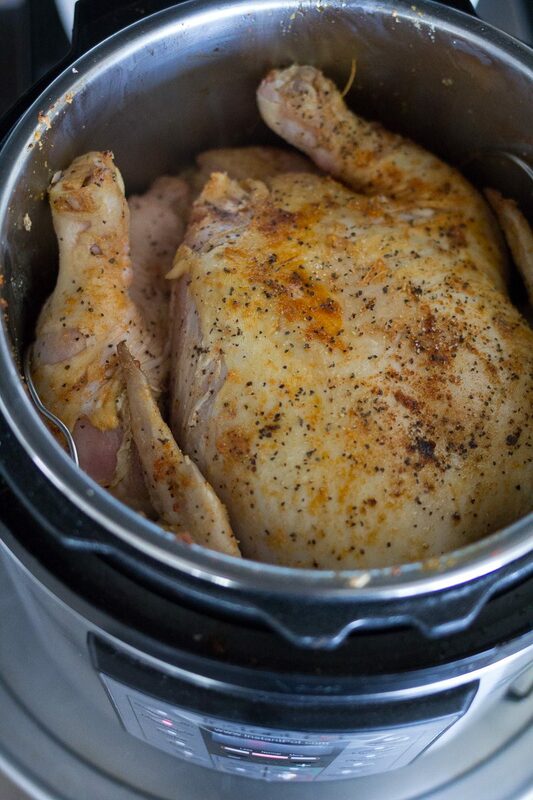 The Instant Pot is your ticket to easy home cooked rotisserie chicken! 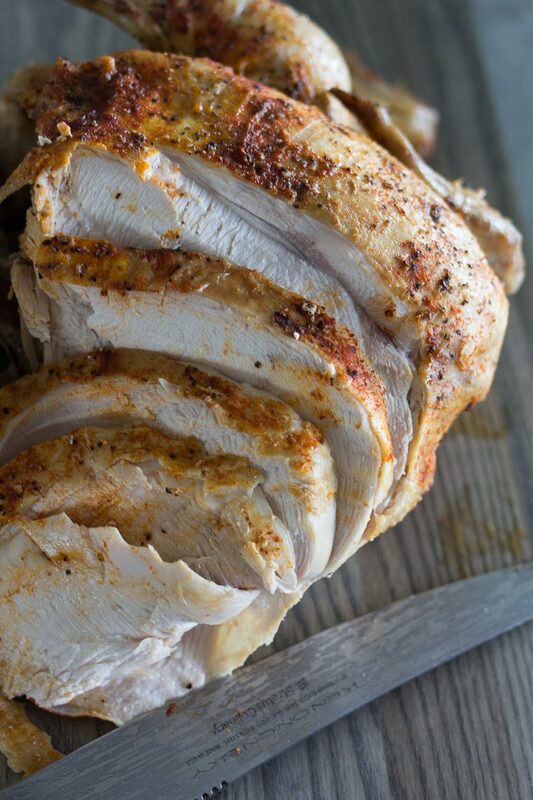 This recipe for Instant Pot Whole Rotisserie-Style Chicken will be your new go-to recipe for roasting moist and tender chicken right in your home. As quick as you can say Rotisserie Chicken, you can cook one in your Instant Pot! 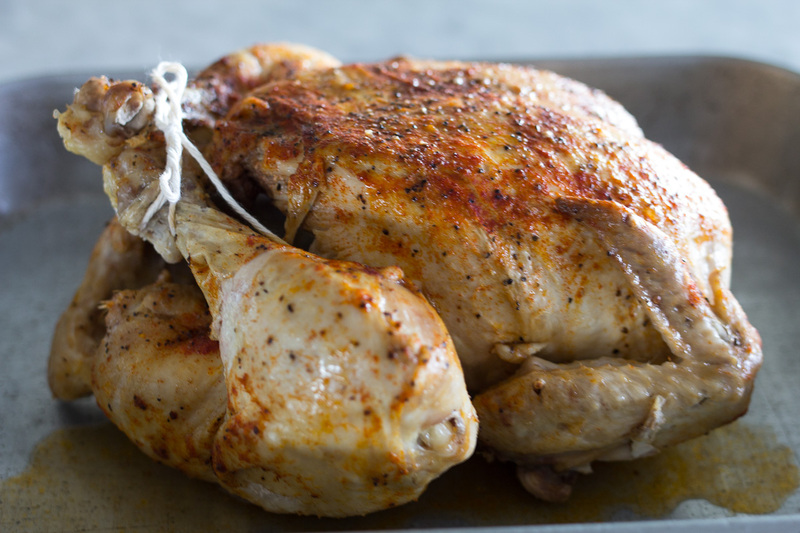 We think of a rotisserie chicken as being a quick-fix to our dinner dilemmas, but with a little advance planning, you can pull a fresh or frozen whole chicken out of the freezer and cook Instant Pot Whole Rotisserie-Style Chicken in minutes, and I guarantee you, the results will be tastier and healthier than that pre cooked chicken in a warmer next to the checkout line! 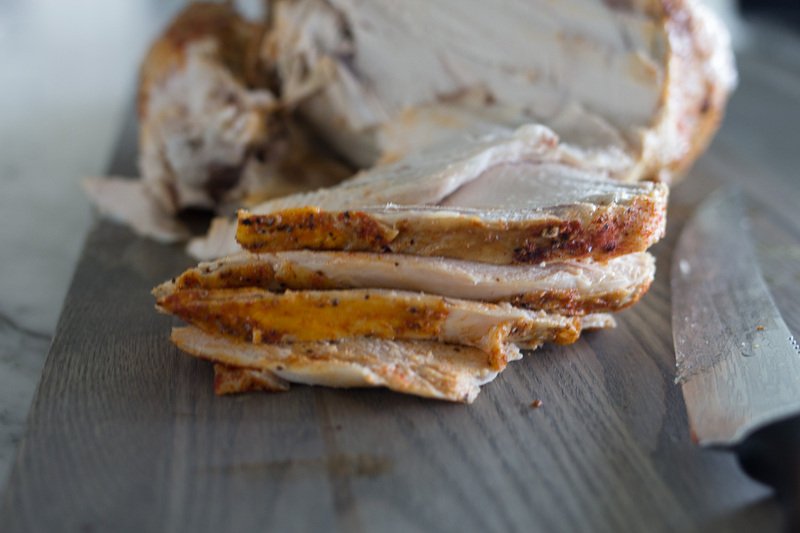 If you don’t eat the whole chicken, this recipe is perfect for leftovers! I love to cook a whole chicken, serve it for dinner and then bag up the leftovers, label and freeze for a meal later in the week or month. Chopped or sliced whole rotisserie-style chicken is perfect for chicken quesadillas, family style chicken tostadas, or for use in chicken soups or chicken casseroles. If you’re looking at the plump chicken (above) and wondering about the size, this one is particularly large. It was a organic whole chicken it weighed about 6-7 lbs total. This recipe not only works for whole rotisserie-style chicken, but also for chicken pieces. 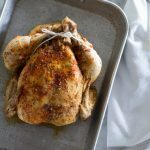 If you don’t want to deal with a whole chicken and all that comes with pulling or cutting chicken off of the bones, this recipe also works like a charm with a combination of chicken breasts, thighs, wings with or without bones or skin. Weigh out about 5 -7 lbs of chicken, and follow recipe directions. Brown the chicken pieces in two or three batches, allowing chicken to brown on each side (see recipe for instructions). When cooking an Instant Pot Whole Rotisserie-Style Chicken, make sure to save the bones for making chicken broth, which is perfect for homemade chicken noodle soup. There is nothing like the flavor of real bone-flavored broth! If you don’t have time to make broth after cooking the chicken, place the bones in a Ziplock bag and freeze until ready to use. When you’re ready to make broth, place the bones frozen or out of the fridge into a pot of cold water, about 4-6 quarts of water and heat until boiling. then simmer for about an hour. Strain and use the broth in cooking or freeze for later use. Turn on Instant Pot to Saute Setting. Mix together in a bowl and set aside: sea salt, pepper, paprika, onion powder, garlic powder. Wash and remove any packaging and extra chicken parts form inside of whole chicken. 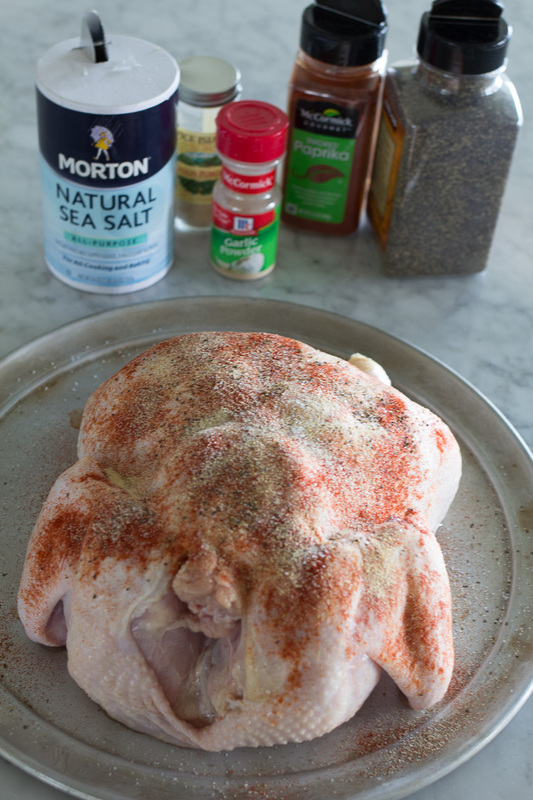 Pat dry with paper towels and rub all of the seasoning onto the chicken. Tie together the legs of the chicken. You may also tie the wings to the body of the chicken if you like, this will help the chicken cook more evenly and keep the wings moist. Pour the oil into the heated Instant Pot. Brown the chicken in the hot oil in the Instant Pot, turning after about 3 minutes or when chicken is golden brown on both sides. When chicken is browned, remove from Instant Pot. Place the chicken on the steam rack and lower back into the Instant Pot. Add one cup of chicken broth to the Instant Pot, around the sides of the chicken. Place lid on pot with sealing ring in place and lock the lid into place. Make sure the lid is set to the "sealing" position. Using the manual setting, cook chicken for 25 minutes. After the timer goes off, allow the pressure to natural release for about 15-20 minutes. Use pot holders to remove chicken by lifting the handles of the steam rack and place the chicken on a serving platter or cutting board. Let the chicken rest for about 5-10 minutes to allow the juices to set up. The liquid in the bottom of the pan may be used to make gravy. Turn the Instant Pot to the saute setting, add about 2-3 tablespoons of butter. Whisk until melted. Add 3 tablespoons of flour and whisk until smooth. Add 2-3 cups chicken broth a little at a time, while whisking. Add salt and pepper to season. Set the Instant Pot to the slow cooker mode to reduce heat. Taste gravy, if needed, add concentrated chicken flavoring such as bullion cubes or paste. Looks delicious, can’t wait to try it! Question though, I happen to have two smaller 3-4 lb chickens in my freezer, could I do two at one if I brown them first? I have the bigger instant pot? Thank you!! I’m guessing you’re talking about Cornish game hens? If so I would probably lower the cook time to 10-12 Minutes and cook two at a time in the IP. Let us know if you give it a try! Thank you for this timely post! I just bought an organic whole chicken and want to cook it in my new instant pot. I’ve read your post on how to use the instant pot. So far I’ve boiled water in it, for my test run. My whole chicken is frozen. How would I adapt this recipe for using it frozen? Or, would it be best to defrost it first? My husband would love it if I made gravy too. How many cans of broth would you recommend for that? Thank you so much, Si! You are so talented and so helpful! It would be best to defrost the chicken first. You will be able to brown it nicely and the spices will stay on the chicken for ultimate flavor. Add 2-3 cups of broth for the gravy (see recipe instructions). What size Instant Pot did you use? I have the 6 qt. Thank you Si! I’m making it tonight. Can’t wait! If using the 8 qt, would you recommend any adjustments to your recipe? No adjustments in the 8 quart! I’m an IP noob; received one as a wedding gift in July, let it sit in the box until the end of September. I finally took the plunge, did some amazing potatoes, beets, quinoa, hard boiled eggs. Then I thought I was ready for a chicken. The person that gifted IP to me warned me that she didn’t like doing ‘chicken with skin’ in the IP but to try it out & see what I thought. Needless to say, I wasted a whole chicken & had a huge bowl of nastiness I thought I’d at least be able to salvage for broth sit in my fridge for over a week. Looking at your recipe and seeing some extra steps (and functions!) from the one I tried has me very very hopeful! Can’t wait to give it a try! I’m excited about how well the whole roasted chicken cooks in the Instant Pot! Give it a try – I know you can do it. My list of IP recipes is growing! Check them out here. Let me know how your whole chicken turns out! First time using my instant pot! Thank you for the awesome directions! I’m glad you had success with this recipe. I’m sure you’ll use your IP more and more as you become comfortable with this amazing time-saver! Let me know if you try any of my other recipes. Cook time seemed low. Followed the directions, 25 min and 15 or so till the pressure released and the chicken was only at 130 degrees. Used a 6.5 lb chicken. I’m sorry the chicken didn’t cook in that time frame. I was using my IP the other day, when I turned it on, the vent was just a little off and it began letting steam out. I tapped it slightly and the vent sealed and began building pressure and cooking properly. What do you think the issue was? Do you cook this at high or low pressure? I cook on the manual mode which is high pressure mode on other IP models. Hope you enjoy this recipe and using your IP! Do you cook it at high or low pressure? I use the manual setting on my cooker, which is comparable to the high pressure setting. If in doubt, use the high pressure setting for almost almost everything! 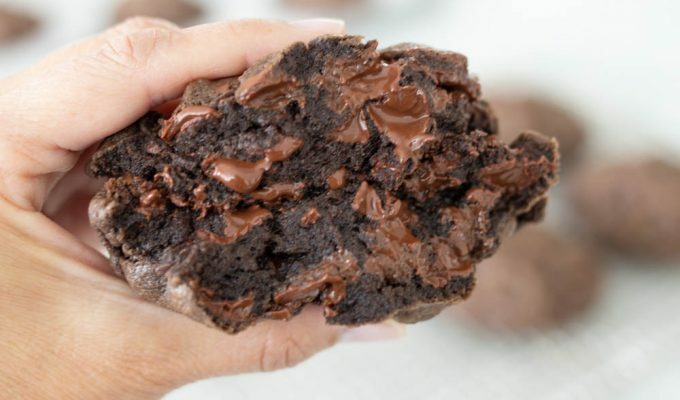 Hope you love this recipe. Is the cooking time the same regardless if the whole chicken is frozen or not? If the chicken is frozen, I would add 3-4 minutes. I haven’t ever tried cooking a whole frozen chicken, but would love to know if you experiment. Thanks so much! I made this tonight for my family, and we all loved it! My two year old son ate one whole chicken breast by himself. The chicken was so tender, and just fell off the bones. My son doesn’t normally love potatoes, but he absolutely loved the baby reds we had on the side with the gravy I made using the leftover liquid. I love hearing stories about families gathering and enjoying meals together. Thank you for sharing your experience with me! My family loves this recipe. So quick and easy. I would love Your bone broth recipe! I use canned broth most of the time, unless I have just cooked a turkey, then almost always I take the bones and cook in cold water for about 8 hours with peppercorns. Then I drain off all of the bones and peppercorns and bottle, skim off the fat and either use for soup immediately or freeze. I used my 6 qt Instant Pot for the first time. I used a 3.5 pound whole chicken that wasn’t frozen. Did the saute, added the broth. Set the Pot for 25 minutes. My chicken was almost raw. Put it back in and set it for another 10 minutes. Still very pink. Any advice for me? Was the lid switched to the “seal” position? The pressure will build up, and the timer will count down if it is sealed correctly. After the timer beeps, do not release the pressure, wait 15-20 minutes for the pressure to naturally release. I haven’t tried another whole chicken, but have now used the pot several more times, after reading a ton of internet articles! Deglazing seems to be an important step after sauteing meat. I didn’t even know what that was! Turns out if you don’t scrape the bits from the bottom of the pot it can interfere with the temperature. So now I take extra care to deglaze and triple check the seal! So far so good! Thanks! I just made this and it was glorious!!!! I followed all instructions exactly, and let it rest the full ten min. It was so juicy and fall apart perfection. The gravy was awesome too. I’ve never had so much success with a roasted chicken and I didn’t have the highest hopes, but this recipie is amazing! Inviting someone over for a Sunday dinner and serving this! Thank you for your comments! I’m loving my Instant Pot! Looks like you are too. I just made this chicken! Amazing! Mine was 6 lbs and I followed your directions exact. Perfectly cooked! Delving into mire of your recipes! Sweet pork may be next! Let me know how you like the sweet pork recipe. DM me and send a pic and I’ll post it on my Instagram. Thank you for your positive feedback and thanks for reading ABK.